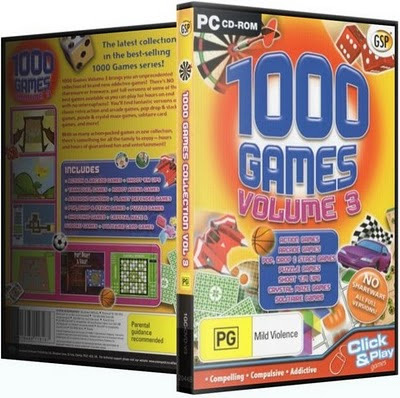 1000 Games Volume 3 brings you an unprecedented collection of brand new addictive games! There's NO shareware or freeware, just full versions of some of the best games available so you can lay for hours on end with no interruptions! You'll find fantastic versions of classic retro actions and arcadegames, pop drop and stack games, puzzle & crystal maze games, solitaire card games, and more! With so many action-packed games in one collection, there's something for all the family to enjoy - hours and hours of guaranteed fun and entertainment!